The sign outside this storefront claims that inside you’ll find “The Best Tamales in Chicago.” Best is a subjective term, but there’s no disputing certain facts: (1) These tamales are among the largest in Chicago, the bulging rectangles generously stuffed with fillings like chicken in a very mild red-chili sauce or a mixture of well-seasoned ground beef and black beans. 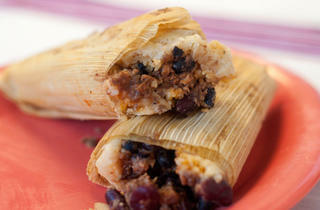 (2) These tamales are made with what might be the creamiest masa in Chicago. 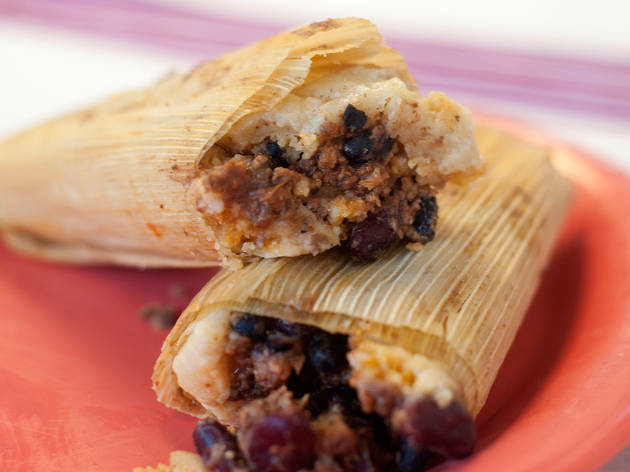 (3) Depending on when you arrive, these tamales might just be the freshest in the city.